This ticket allows adult (age 16+) access to the festival arena on Friday (from 3 pm), Saturday (from 11 am) and Sunday (from 11 am). No access to the campsites or campervan field. This ticket allows adult (age 16+) access to the Love Supreme Jazz Festival 2019 on Saturday 6th July. This ticket allows adult (age 16+) access to the Love Supreme Jazz Festival 2019 on Sunday 7th July. This is a standard adult camping ticket for Love Supreme Jazz Festival, valid from 5th - 7th July 2019 for adults 16 + Pitch your tent for the whole weekend and enjoy all that the festival has to offer, from the opening party on Friday, to the last beat of music on the Sunday night, with all the artists, talks, classes and films in between. The campsite will open at 12pm on Friday and close at 12pm on Monday. This is a standard junior camping ticket for Love Supreme Jazz Festival, valid from 5th - 7th July 2019 for juniors ages 6-15 Pitch your tent for the whole weekend and enjoy all that the festival has to offer, from the opening party on Friday, to the last beat of music on the Sunday night, with all the artists, talks, classes and films in between. The campsite will open at 12pm on Friday and close at 12pm on Monday. This is a standard children's camping ticket for Love Supreme Jazz Festival, valid from 5th - 7th July 2019 for children ages 0-5 Pitch your tent for the whole weekend and enjoy all that the festival has to offer, from the opening party on Friday, to the last beat of music on the Sunday night, with all the artists, talks, classes and films in between. The campsite will open at 12pm on Friday and close at 12pm on Monday. This ticket allows a family access to the festival arena on Friday (from 3 pm), Saturday (from 11 am) and Sunday (from 11 am) and includes access to the campsite. This ticket allows adult (age 16+) access to the festival arena on Friday (from 3 pm), Saturday (from 11 am) and Sunday (from 11 am) and includes access to the campervan field. This ticket allows junior (age 6-15) access to the festival arena on Friday (from 3 pm), Saturday (from 11 am) and Sunday (from 11 am) and includes access to the campervan field. This ticket allows a family access to the festival arena on Friday (from 3 pm), Saturday (from 11 am) and Sunday (from 11 am) and includes access to the campervan field. This ticket allows a child (age 0-5) access to the Love Supreme Jazz Festival 2019 on Saturday 6th July. This ticket allows a family access to the Love Supreme Jazz Festival 2019 on Saturday 6th July. Includes 2 Adults (age 16+) and up to 3 Juniors (age 6-15) - issued as 5 separate tickets. This ticket allows junior (age 6-15) access to the Love Supreme Jazz Festival 2019 on Saturday 6th July. This ticket gives access to a child aged 0-5 years old to Love Supreme Jazz Festival 2019 on the 7th of July. This ticket allows a family access to the Love Supreme Jazz Festival 2019 on Sunday 7th July. Includes 2 Adults (age 16+) and up to 3 Juniors (age 6-15) - issued as 5 separate tickets. This tickets gives access to a junior aged 6-15 years old to Love Supreme Jazz Festival on the 7th of July. This ticket allows children (age 0-5) access to the festival arena on Friday (from 3 pm), Saturday (from 11 am) and Sunday (from 11 am). No access to the campsites or campervan field. This ticket allows junior (age 6-15) access to the festival arena on Friday (from 3 pm), Saturday (from 11 am) and Sunday (from 11 am). No access to the campsites or campervan field. 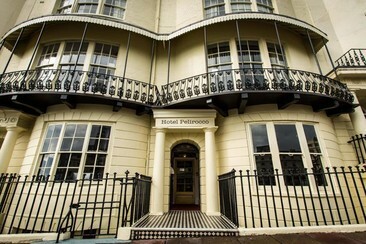 Hotel Pelirocco is located on the seafront in central Brighton and a short walk from Brighton train station. 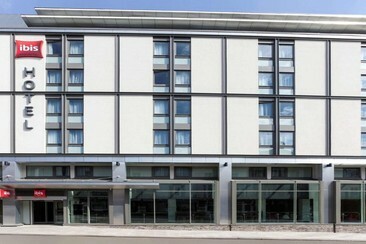 Pelirocco is very close to Brighton’s shopping areas, the conference centre, and clubs, bars and restaurants. The hotel offers a colourful bar and a karaoke lounge, also hosts live music. 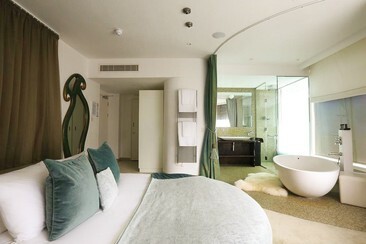 Pelirocco is a townhouse hotel featuring boutique-style themed rooms with free Wi-Fi, TV and tea/coffee making facilities. Pelirocco’s rooms are inspired by pop culture, glamour and music. Love Supreme Jazz Festival is regarded as one of Europe's most prestigious jazz festivals, bringing a touch of the European scene to the UK and jazzing it up with the country's famed camping culture. But Love Supreme isn't all about jazz, with its lineup spanning the worlds of funk, soul and blues too. 2019's lineup will feature sets from Snarky Puppy, Jamie Cullum and Gladys Knight. Beyond the music, festival-goers will also have the chance to immerse themselves in the festival's other side, such as its diverse variety of workshops, wellbeing classes, vintage markets, incredible food and drink stalls, and its kids area, perfect for the young Love Supremers.